I got so tired of digging up coins that I started looking for signals that were not coins. And wow, did I find some weird stuff at my flea market site. So I got 2 keys, a costume ring, a weird plated lead weight and coins of course! 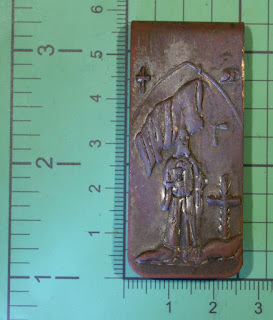 First up is this brass KKK money clip (17 grams). Apparently a southern preacher had these made in England for some obscure reason. I haven't fully cleaned it up yet, but might sell it on eBay, apparently is has collector value. 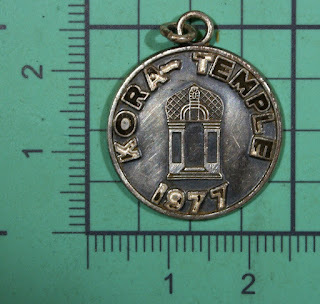 When cleaned up, the ones shown on the web are shiny brass with some patina. The front shows a a KKK member with various cross icons - one cross is in flames. Yikes! Here's the back. 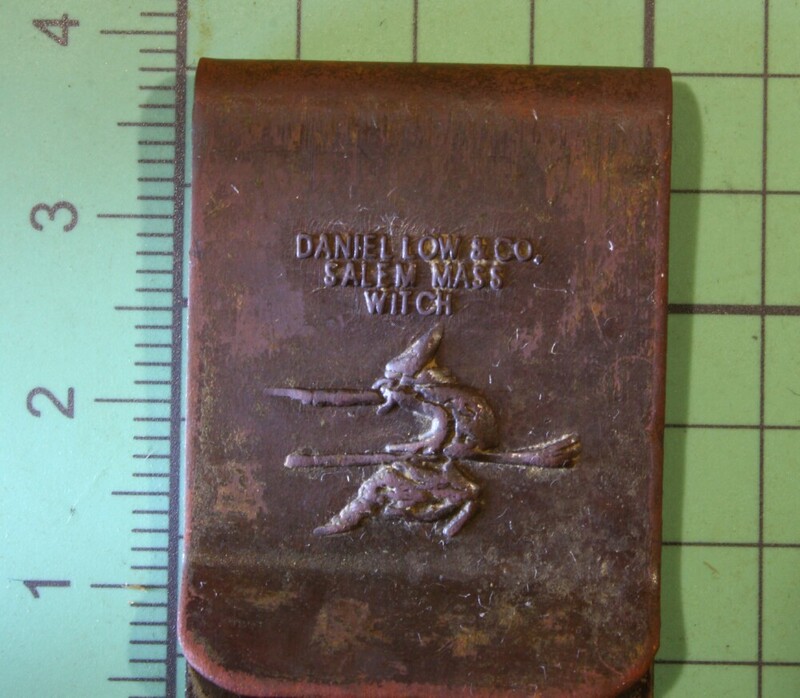 It is a forgery purported to have been made by Daniel Low & Co, Salem MA in the 1960's. In fact that company would never have made such a thing. And they never would have put "witch" on the back! It appears to be sterling silver and weighs in at 4.5grams. On the back is inscribed "Ladies Night" in cursive script. Then there is this 5.5oz (151 gram) 1.75" (45mm) diameter mystery weight. 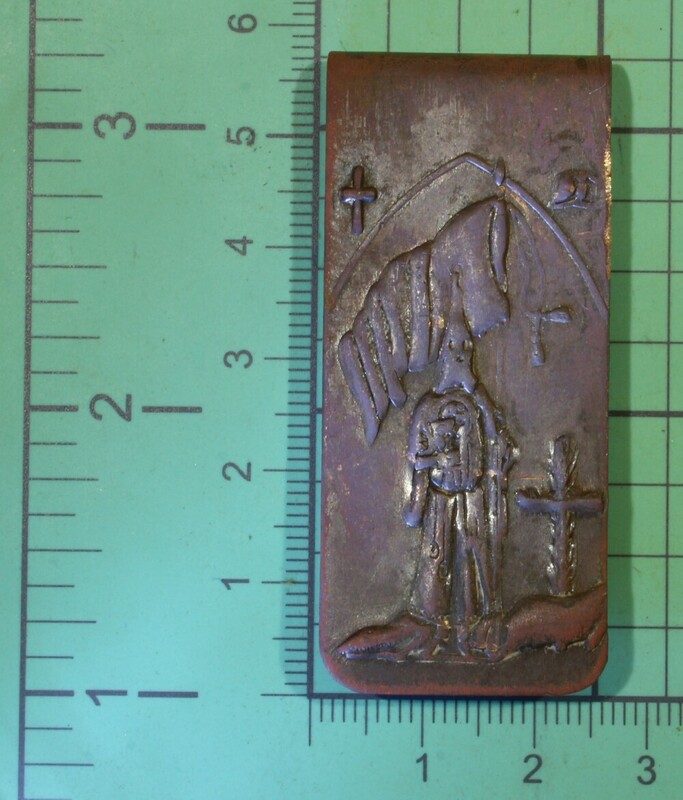 It's about 1/2" (12mm) thick and it appears to be brass or gold(?) plated lead. No idea what is was for. Anyone have ideas" Let me know in the comments. 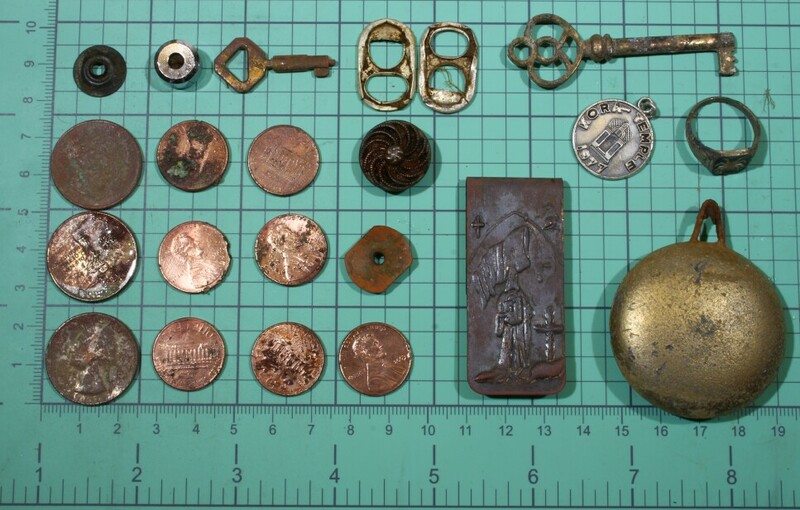 Never a dull moment while metal detecting!
. . . 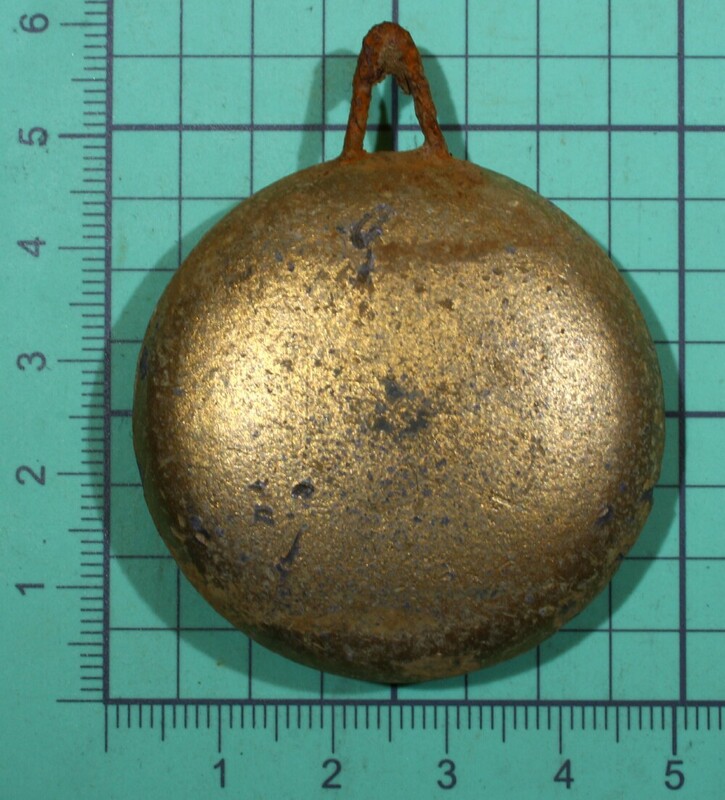 So the official word from a clockmaker about that item above is that it is a brass plated lead clock bob (pendulum) probably from a mantel clock.